This 'Island Style' two bedroom, two bath condo has beautiful views of the ocean and West Maui Mountains. Experience the good life 'Hawaiian style' as you sit on your private lanai where you can watch the sunset and feel the balmy trade winds. The condo overlooks a large swimming pool that is surrounded by gaslit torches each evening. Start your mornings on the island of Maui with a 'breath taking view' of the ocean and tropical grounds of Maui Sunset, a 5 acre ocean front property. If you return from your day of Maui adventures in time, you can enjoy watching magnificent sunsets in a beautiful beach/park setting. The master bedroom has a queen pillow top mattress with memory foam and the second bedroom has a king pillow top mattress. The living room sofa converts to a comfortable queen bed. The condo also has an iron and ironing board, hair dryers, extra towels and linens, beach towels, beach chairs, sand mats, beach umbrella and cooler. Sharon and Jack Kelly's love for Maui turned into an opportunity to share a piece of Paradise! Maui is such a wonderful vacation location that we chose to buy a beachfront condo in kihei, the sunny side of the island. The benefit of staying at our 'island retreat' is that you will feel at home with the comforts that will make your stay enjoyable. This was a perfect condo for our family! Loved it! We can not say enough great things! We spent 2 weeks and we just didn’t want to leave! The condo has everything you need and it’s so beautifully decorated! Jack the owner is amazing and called immediately to answer questions and to give you all the info you need! The view from the condo was my favorite! View if the ocean while I can see my family in the pool. Super close to the elevator and downtown! We can’t wait to stay there again next year! We had a wonderful time, although it went by tooo quickly. Jack & Sharon made sure the condo was stocked with everything we could ever need, and then some - it was perfect. We WILL return to our Maui home!!! The condo was just beautiful. Clean and full of lots of extras. We appreciated the beach towels, extras in the kitchen area, games and movies for the kids and even the little Hawaiian cookbook in the living room. The view of the ocean from the lanai was gorgeous. We enjoyed having our morning coffee and playing card games out there. Our favorite part of being so close to the ocean was watching the sunset and taking evening walks right on the beach. 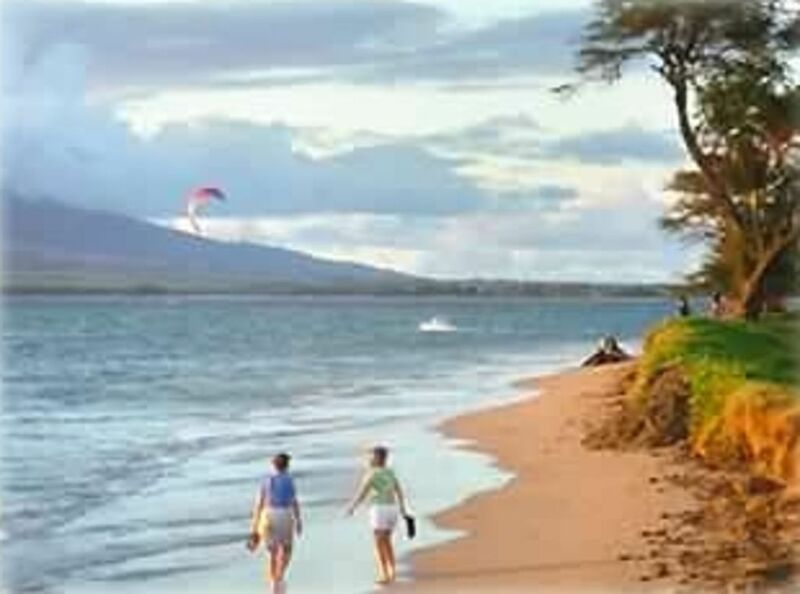 Jack and Sharon are wonderful people, who want your stay in Maui to be memorable. Jack answered all of our questions promptly and was even kind enough to accommodate us, when we needed a late check out. The condo staff was friendly as well. The condo is located near so many neat places including a farmers market, craft show, shopping, restaurants and Ululani's an awesome shaved ice place. We made some amazing memories here and will be returning in the future. Mahalo to Sharon and Jack for sharing your lovely place with us. We miss it already!! Beautiful Island, Beautiful Location, Beautiful Accomodations and HIGHLY RECOMMEND! We stayed here for 2 weeks and had the time of our lives. Great beach, pool, spa, tennis courts, great views, sunsets from the balcony were amazing and even though we had a hurrican warning and had to stay an extra 2 days, the owner was kind enough to accomadate us for the extra days. Nice kitchen, island vibes and comfortable beds. Please call for special pricing for more than 14 days and monthly.